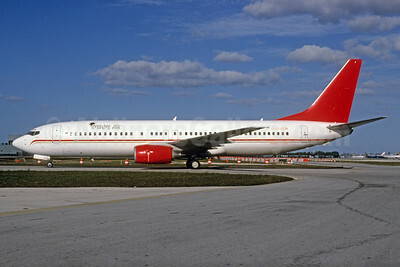 (LL/BSK) (Miami) 1991 - Current. Photos. Framable Color Prints and Posters. Digital Sharp Images. Aviation Gifts. Slide Shows. 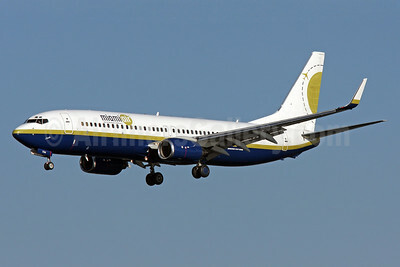 Jackpot Airlines (Miami Air) Boeing 737-8K5 WL N750MA (msn 35148) (LA to Vegas) LAX (Ron Monroe). Image: 940254. Formerly painted for "LA to Vegas"
Miami Air Boeing 737-8K5 WL N750MA (msn 35148) (TUI colors) BWI (Tony Storck). Image: 941402. 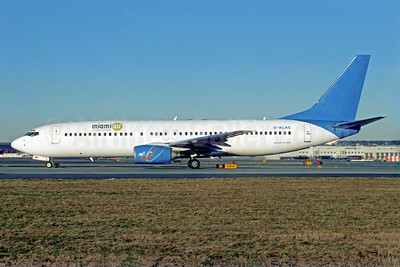 Miami Air International (Excel Airways) Boeing 737-81Q G-XLAC (N904MA) (msn 29051) (Excel colors) (Christian Volpati Collection). Image: 940102. 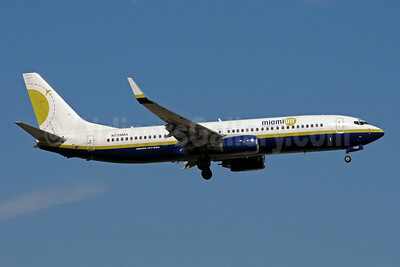 Miami Air International (Excel Airways) Boeing 737-81Q N904MA (msn 29051) (Excel colors) MIA (Bruce Drum). Image: 101709. 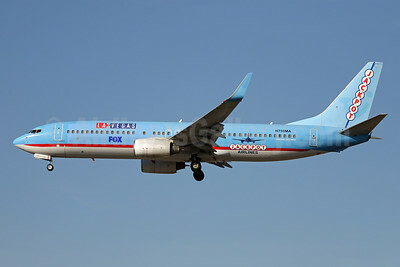 Miami Air International (Excel Airways) Boeing 737-81Q N906MA (msn 29052) (Excel colors) MIA (Bruce Drum). Image: 100114. 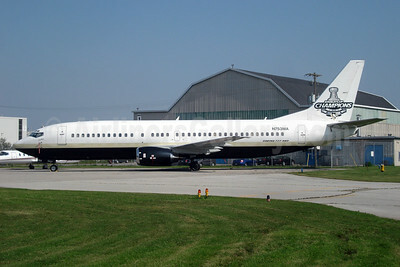 Miami Air International (Pittsburgh Penguins) Boeing 737-48E N753MA (msn 28053) (Stanley Cup Champions 2009) YYZ (TMK Photography). Image: 925228. 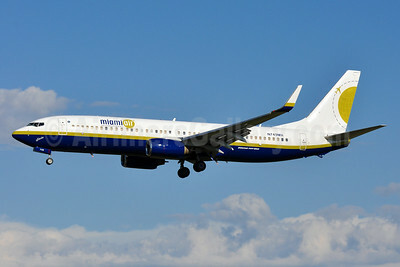 Miami Air International (Sabre Airways) Boeing 737-8Q8 G-OJSW (msn 28218) (Sabre colors) MIA (Bruce Drum). Image: 103750. 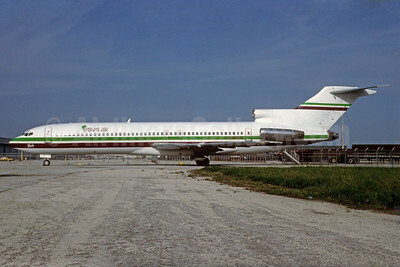 Miami Air International Boeing 727-225 N802MA (msn 22433) MIA (Bruce Drum). Image: 100111. 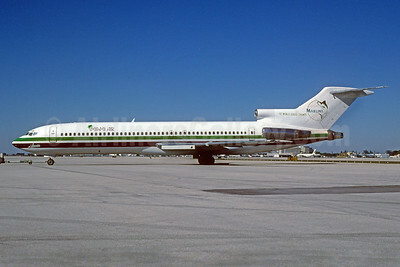 Miami Air International Boeing 727-225 N804MA (msn 22435) MIA (Bruce Drum). Image: 103746. 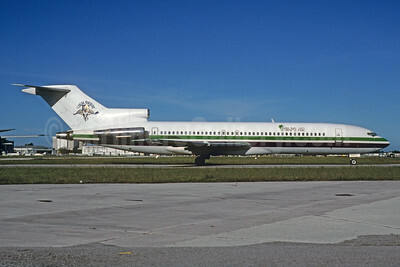 Miami Air International Boeing 727-225 N806MA (msn 22437) (Florida Panthers) MIA (Bruce Drum). Image: 103748. 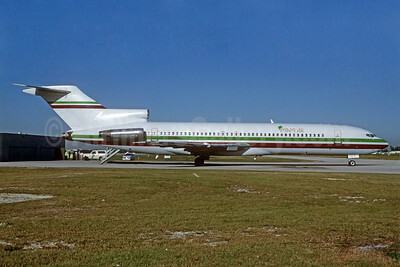 Miami Air International Boeing 727-225 N806MA (msn 22437) MIA (Bruce Drum). Image: 103747. 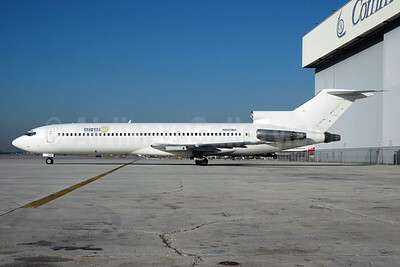 Miami Air International Boeing 727-231 N808MA (msn 21988) (Marlins) MIA (Bruce Drum). Image: 103749. 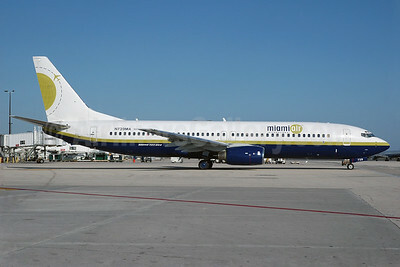 Miami Air International Boeing 737-8DC WL N740EH (msn 34596) MIA (Bruce Drum). Image: 100116. 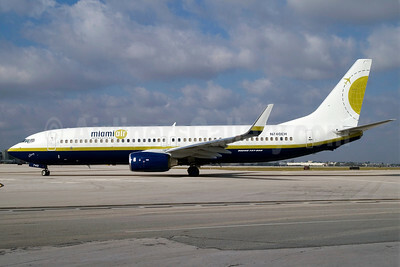 Miami Air International Boeing 737-8DC WL N740EH (msn 34596) MIA (Jay Selman). Image: 402124. 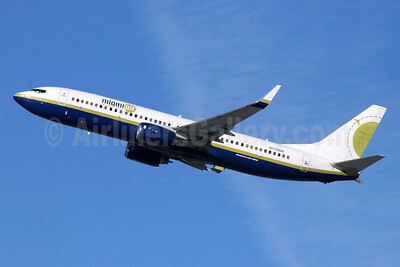 Miami Air International Boeing 737-8HX WL N749MA (msn 36434) BWI (Tony Storck). Image: 940186. 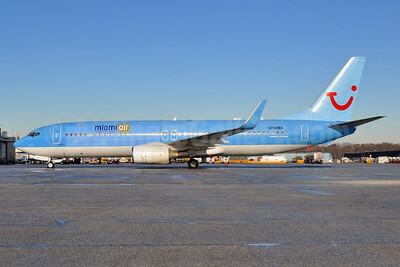 Miami Air International Boeing 737-8K5 SSWL N748MA (msn 39094) (TUIfly colors) BWI (Tony Storck). Image: 941401. Miami Air International Boeing 737-8K5 SSWL N748MA (msn 39094) (TUIfly colors) SNN (Michael Kelly). Image: 940103. 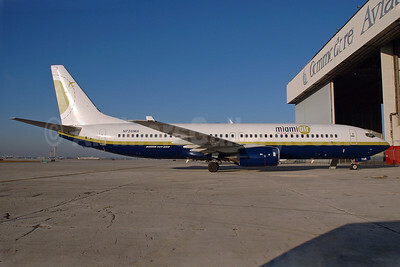 Miami Air International Boeing 737-8Q8 N738MA (msn 32799) MIA (Bruce Drum). Image: 101707. 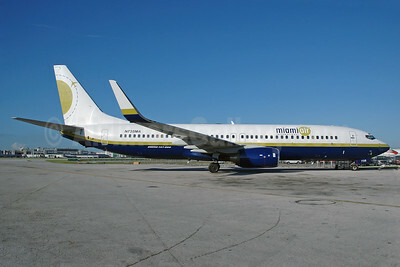 Miami Air International Boeing 737-8Q8 N739MA (msn 30670) MIA (Bruce Drum). Image: 101708. 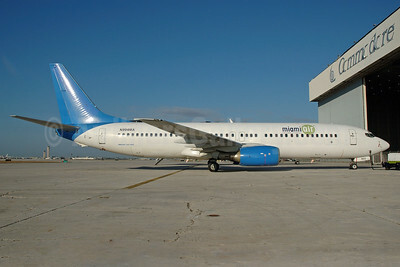 Miami Air International Boeing 737-8Q8 WL N734MA (msn 30039) MIA (Brian McDonough). Image: 925230. 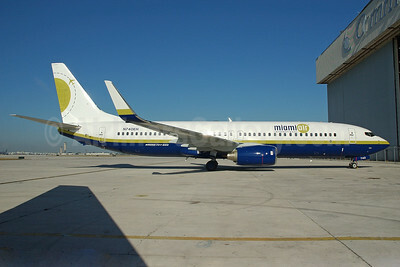 Miami Air International Boeing 737-8Q8 WL N734MA (msn 30039) MIA (Bruce Drum). Image: 100115. 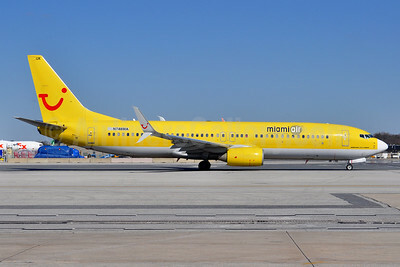 Miami Air International Boeing 737-8Q8 WL N738MA (msn 32799) MIA (Bruce Drum). Image: 101710. 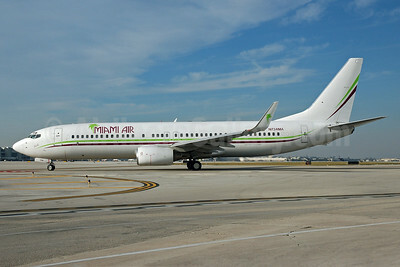 Miami Air International Boeing 737-8Q8 WL N739MA (msn 30670) LAX (Michael B. Ing). Image: 945021. 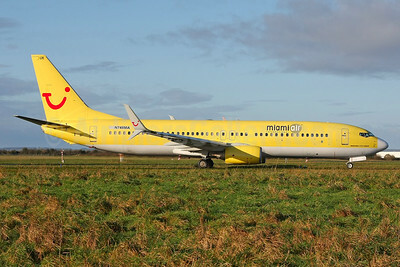 Miami Air International Boeing 737-8Q8 WL N739MA (msn 30670) MIA (Bruce Drum). Image: 101820.